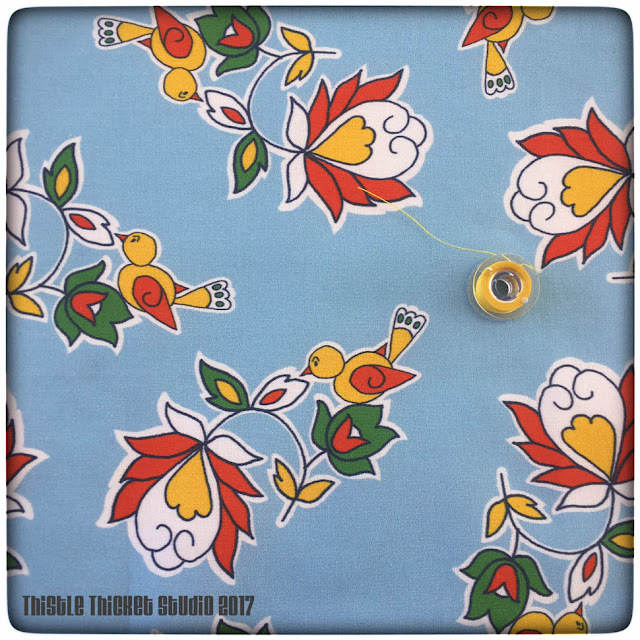 Today the sample fat quarter of my design entry for Spoonflower's weekly contest arrived! 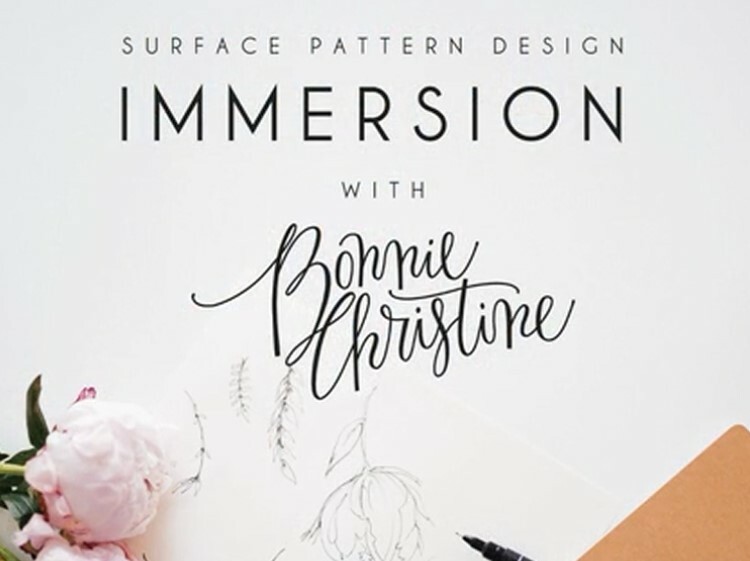 It's so fun to see what you've been sketching and doodling come to life in fabric. 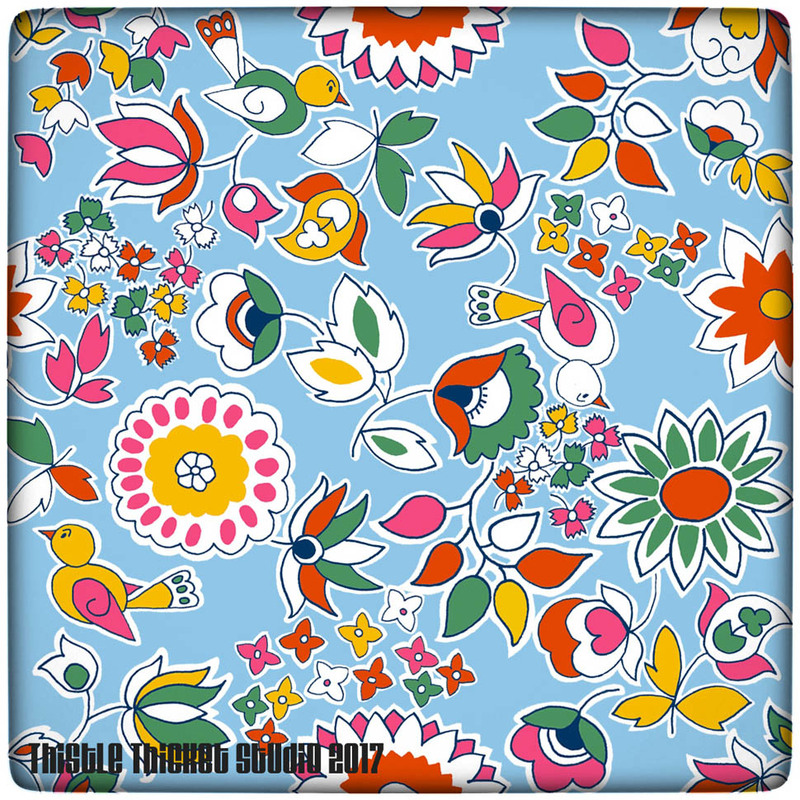 Spoonflower's Birds and Blooms contest closed a couple of days ago and the top 10 winners were announced today. It was no surprise to me that my entry wasn't in the top ten. I did however have 19 people 'favorite' my design. Favorites are different than votes, and as far as I can see, they don't reveal how many votes each entry received. The fabric print is larger in real life than it appeared on Spoonflower's website. It looked quite small compared to other entries in the design contest, so I can't imagine how big those prints are in real life. 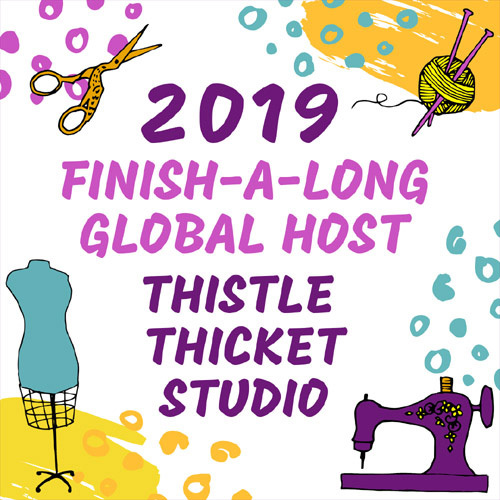 Obviously, many of the people participating in the contests are designing just for the contest and scale their designs so that they appear larger on Spoonflower's website. Prints that large wouldn't be suitable for most quilting projects, but would be ideal for draperies and upholstered furniture or for wallpaper. I'll continue to play with coordinating designs with these motifs and hopefully learn more techniques in the design process. For every one I design, I have two more ideas. It is really getting addictive! Bird on Bloom Fabric Print Arrived! Last week I shared my first entry in Spoonflower's weekly design challenge and a companion print I designed. I ordered a fat quarter of each print to see what it looked like on fabric and today the companion print arrived! Bird on Bloom design on fabric. Printed by Spoonflower.com. Bobbin for size comparison of design. Photo taken in natural light and coloring untouched. I'm very happy with the quality of the printing and how my design looks on fabric (it looks very professional, if I do say so myself!). However, the orange and green colors in the print are darker than I was expecting. After comparing my print to the swatches I am working from, the green does match the swatch I selected. Maybe because the greens in my fat quarter are larger than the swatch, it appears darker? However, the orange in the print is not the same color as the swatch. The orange in my print is darker and has more of a red base than the swatch. 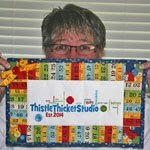 My swatch is printed on a quality quilting cotton but I chose to print my fat quarter on Kona cotton, which may be why the coloring is different. After close examination, the Kona cotton has a coarser weave that the quilting cotton, so it may have absorbed more ink than that of the swatch fabric. Next time, I'll try printing on the quilting cotton and see how the quality and color accuracy compares. Spoonflower recommends washing the fabric before using it in a project. I wonder how that will affect the color? Last night I worked on a new design. 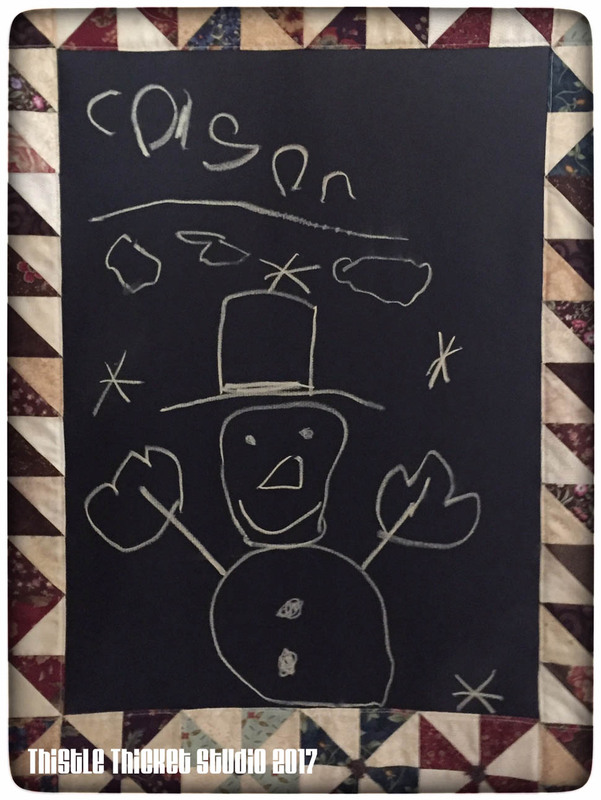 While my grandson was visiting last Thanksgiving, he drew a snowman picture on my chalkboard quilt. I've been saving it so that I could photograph it and turn it into a fabric design. I finally got around to it last night and I'm so excited with how it turned out. 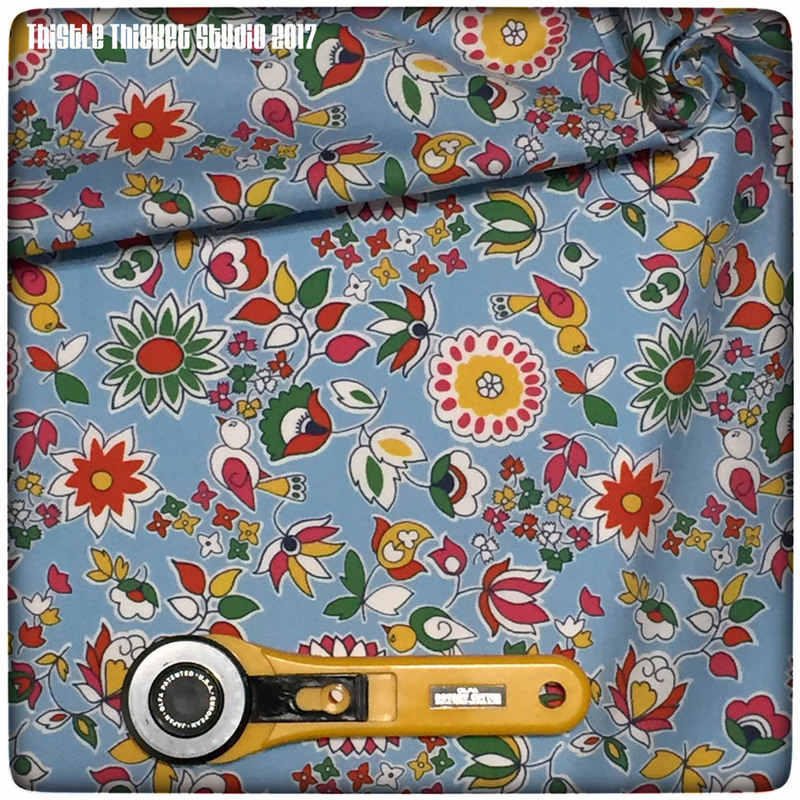 I ordered a yard of fabric using Spoonflower's Fill-A-Yard option, and printed the fabric with two background colors so I'll receive a half yard of each colorway. I have a secret project planned for this special fabric! Can't wait to share it with ya'll! P.S. There's one more day to vote in Spoonflower's Birds and Blooms design contest and if you like my Prairie Gardens design, I'd love if you'd vote for it! Here's the link. I'm back, as promised, to share my Spoonflower entry in the Birds and Blooms contest that opened today. 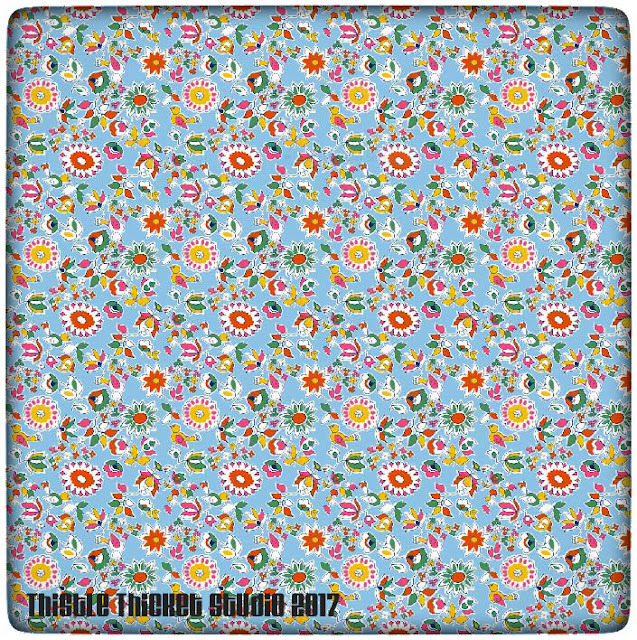 My entry, Prairie Gardens, is the next step in my textile design learning process. The learning curve has been huge from my Ditsy Daisy print I shared a couple of days ago to this. And although I wished I had more time to tweak this design, I'm pretty happy with it for a beginner. There are 413 entries - WOW! - in the Spoonflower contest which runs until Tuesday, April 25, 2017. Here's a link to the Spoonflower Birds and Blooms contest. If you honestly like my design, please vote. I don't want to sway the feedback I get, though, with sympathy votes:) I was surprised to get an email notice yesterday that someone actually favorited my design on Spoonflower. That's exciting! This is the single repeat of the design. On Spoonflower, it is viewed in a fat quarter size repeat. I like the design in a single repeat, but in the larger view, I can see some things I will change to make it more spatially pleasing. I'll continue to play with it. I also played with a few companion print ideas, pulling out different elements from the focal print. I made this print before I made the focal that I entered in the contest. After looking at this, I decided to add pink to the design. Next I want to try to create a plaid companion print because I love plaids...and stripes...and dots...in a collection. I also have another colorway I'd like to create. And I have a few more designs I'd like to make to create a whole collection. 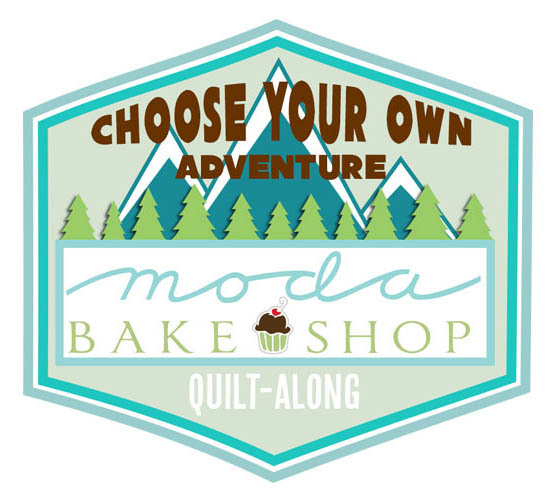 So I'd love feedback from quilters and textile designers! What do you think of this colorway? Are there changes you would make to the layouts? Any advice on how to improve the repeat? 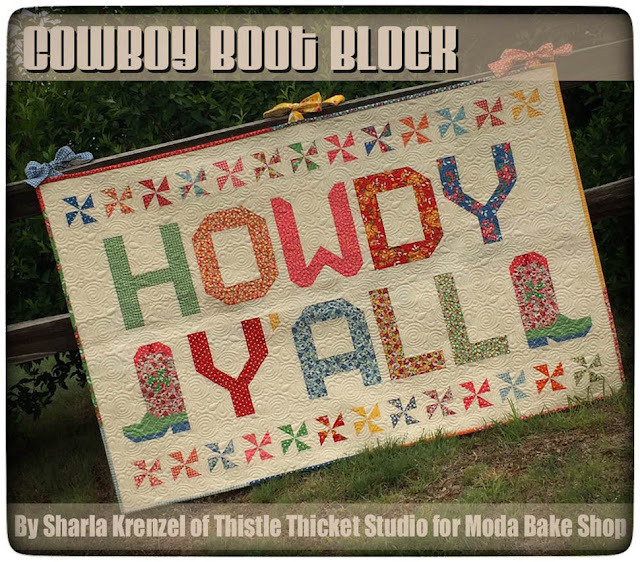 Would this grab your attention if you saw it on a shelf in a quilt shop? Would you be compelled to buy it? What kind of companion prints do you like to see in a collection? I have wanted to learn how to design my own fabric for like FoReVeR !!! But all the techy stuff was just so intimidating that I just kept putting it off. A couple of weeks ago I threw caution to the wind and jumped in with both feet. Well, more like dipped my big toe in with a simple little drawing of flowers that I uploaded to the Photoshop Elements software I have on my computer. And I played around until I figured out how to create a repeat from my drawing. When I was happy with the way it looked I uploaded my jpeg file to Spoonflower and ordered a fat quarter of my first primitive attempt and here it is......Ditsy Daisies! I'm so excited with how it turned out! 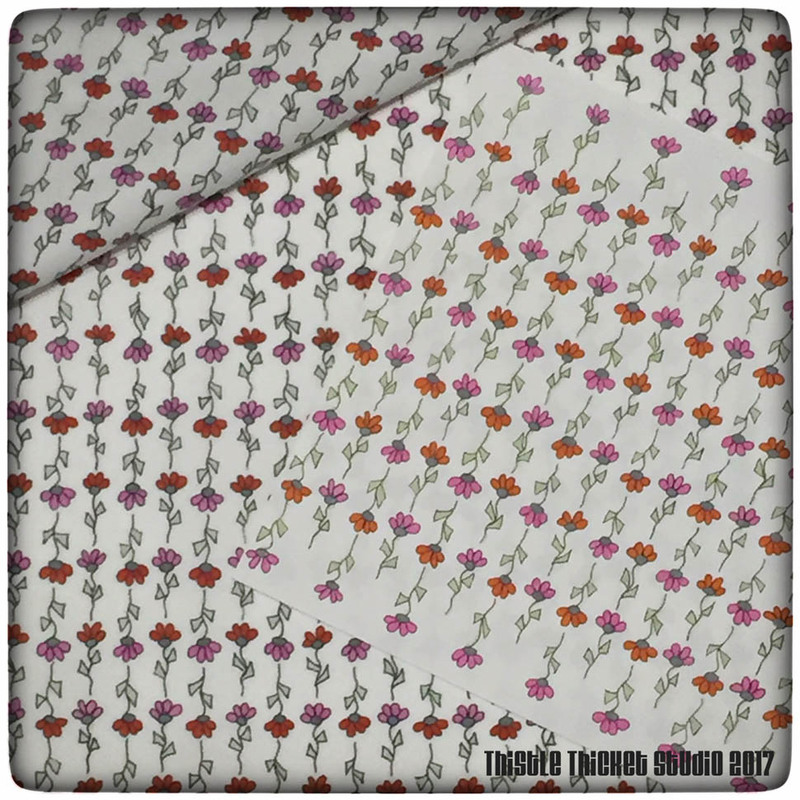 Spoonflower is an online digital printing company that prints fabrics, wallpaper and wrapping paper from designs that the customer uploads to their site. 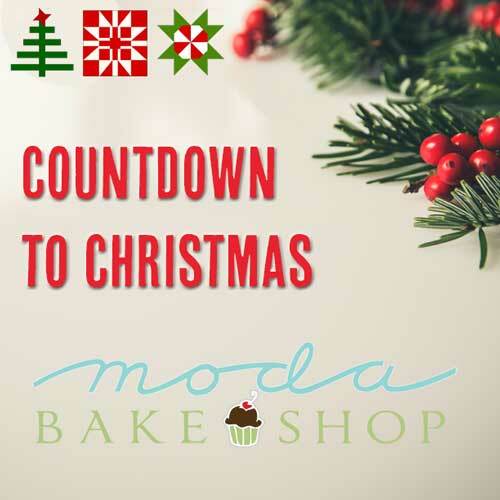 They have a wide range of fabrics in which to choose, from basic quilter's cotton to canvas to knits to satin to minky - a total of 21 different fabrics. 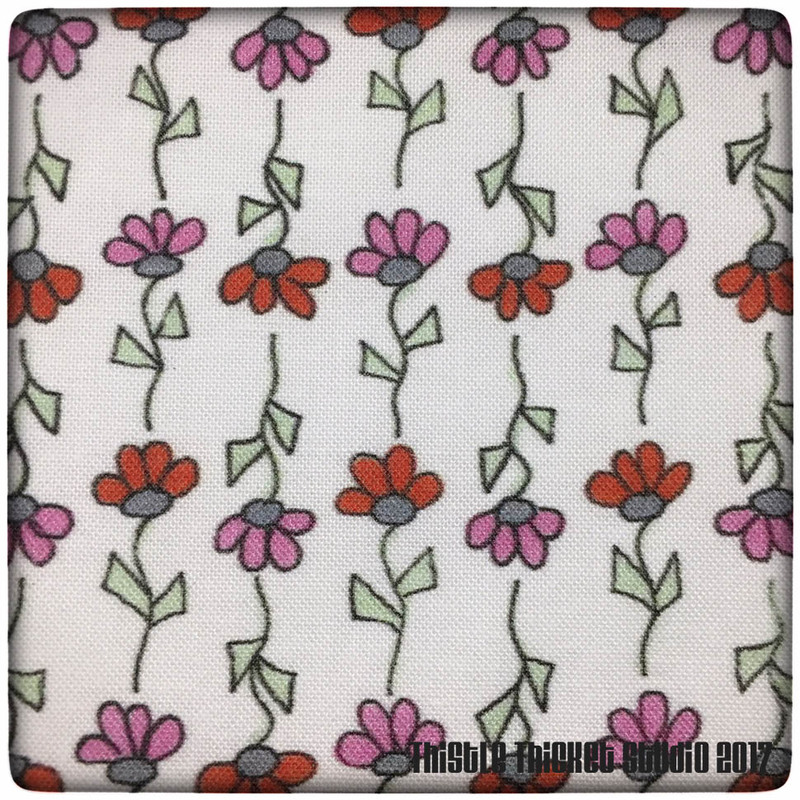 Here's a close up of Ditsy Daisies printed on Kona Cotton. I was thrilled with the color accuracy and saturation, and the fact that even that light green color in the leaves was picked up and printed. I think I'm hooked. For the last week, I have been trying to learn more about using Photoshop to design in, uploading simple line drawings, then coloring, editing, combining drawings in layers, creating repeats using offsets, and testing my repeats. 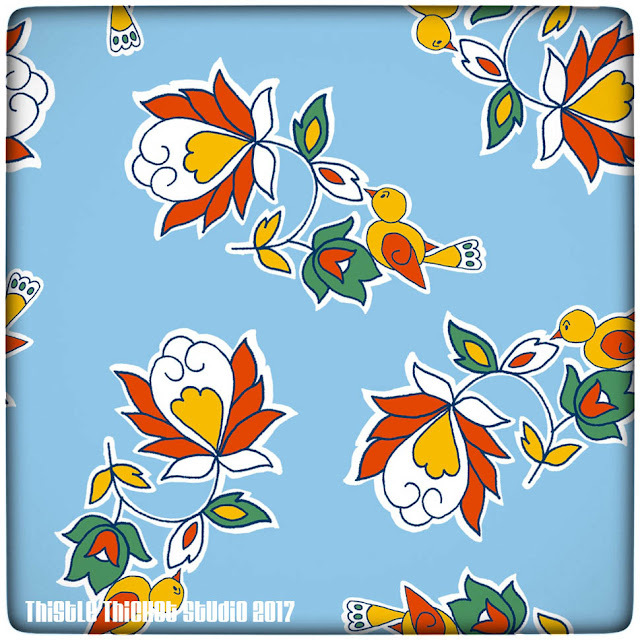 I've designed a couple of more fabrics, more complex than this one, and I even entered one in Spoonflower's weekly design contest. I'll post more about that on Thursday when the contest opens for public voting. I'm hoping that I receive feedback from people that will help me move forward. I haven't been getting any sewing done but I've been having a blast designing. I lose all track of time - I sat down last evening to finish my entry in the contest and it was 3 a.m. before I realized it! Yikes! 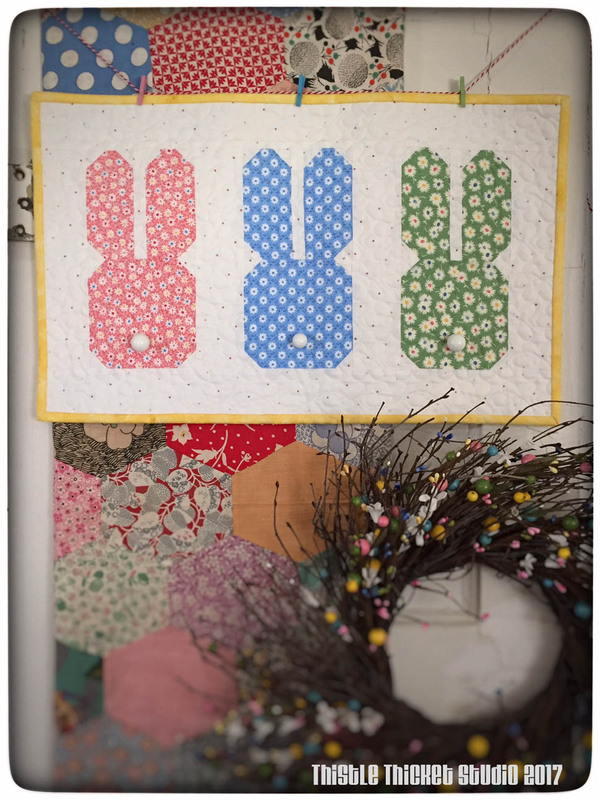 I was just lamenting that I didn't have much in the way of Easter décor when the cutest bunny quilt pattern was featured on the Moda Bake Shop last week. So after the hubby went to bed that evening, I headed for my sewing room and whipped out my own version of Kristina Brinkerhoff's (from @centerstreetquilts) Bunny Quartet pattern. 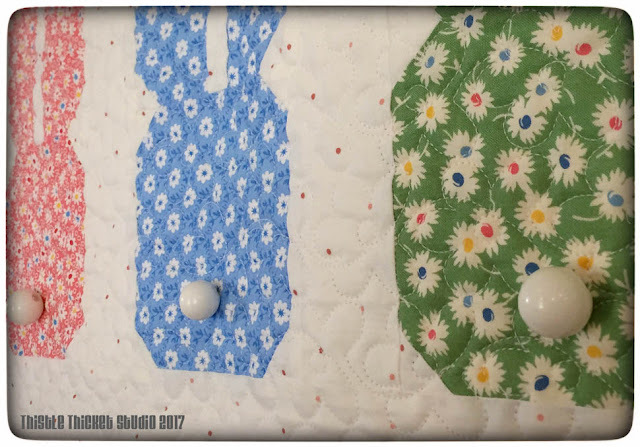 In an hour, I had the top of my Bunny Trio mini quilt stitched up and the next day I quilted it up with a cute all-over flower design to go with the flower prints in the fabric. I even managed to get the binding on that same day (shocking if you know how much I hate binding) - of course since it is only 13.5" x 22" it didn't take long. I chose to make three bunnies so it would fit on my old chippy-painted door in my living room. The question now is - do you see a bunny head facing towards you or a whole bunny body facing away from you? When I first saw the pattern, I saw a whole bunny and envisioned cute little bunny tails wagging, so I added round white ball buttons for tails on my version. But I can see the bunny heads too, which is how the designer intended them to be. Luckily, the buttons also look like bunny noses, so it works either way! I think I was the first to post my bunny mini on Instagram but soon there was a fluffle of bunny minis on display. On a side note, did you know a group of rabbits is called a fluffle in Northern Canada (according to the New World Encyclopedia)? When I googled what a group of bunnies was called, I got a whole slew of words including herd, litter, colony, nest and warren. But I like fluffle the best! From our nest to yours, I wish you and your fluffle the happiest of Easters! They say less is more, so I'm going to try it for this quarter of the 2017 Finish-A-Long. I have a big secret project I'm going to be working on that I won't be revealing until this fall (that always makes me crazy with curiosity when people say that!) 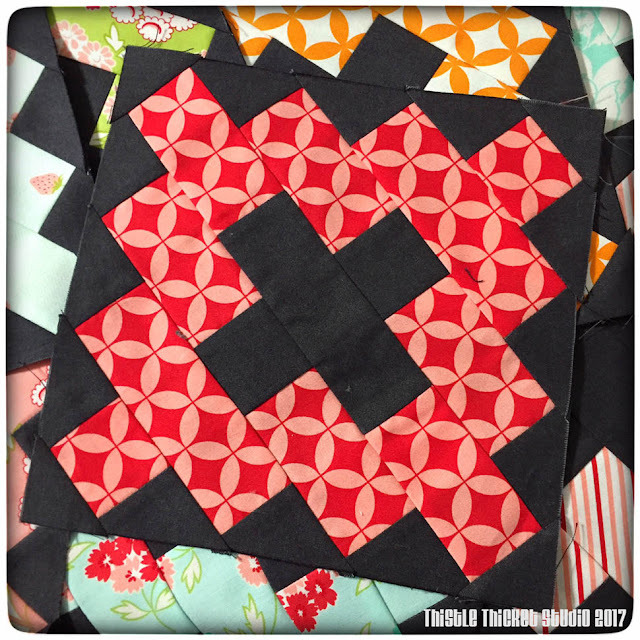 and I will also be working on this year's quilt guild challenge, so I'm just going to post four goals for this quarter. 1. 2016 Quilt Guild Challenge: Medallion Quilt. This one is still at the same place as it was on August 16, 2016 - the day my mom and aunt had their car accident while on our girls quilty road trip. I really want to get this one done this quarter. Even if I don't get it quilted, I'll consider it a success if I get the top completed. I have two more sides of the 3-D pinwheels to finish, then I have rounds of 4-patches, piano keys, flowers and stars to make. 2, 3. Whole Country Caboodle Kits. I'm throwing in a couple of little projects to break up the big projects that I'll be working on. With little projects you can get a quick gratification of completing something and I think I'll need some of that this quarter! 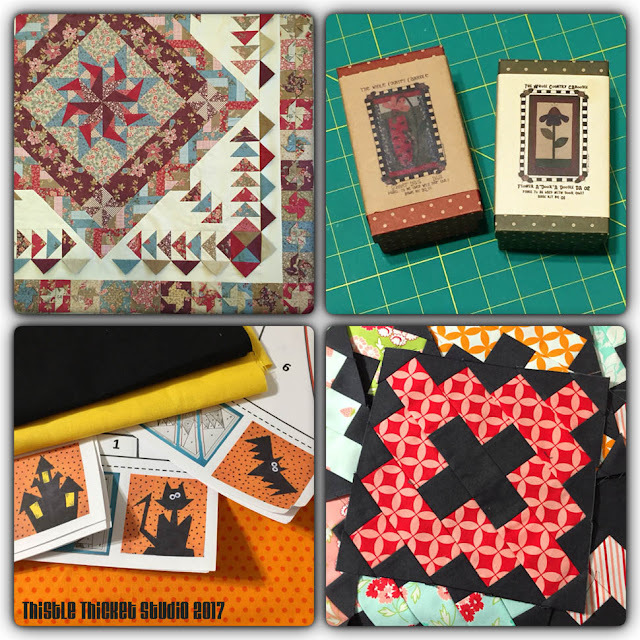 These little kits are mini quilts that button onto a larger "A Door A Doodle" quilt that I have hanging in my entryway. There are different seasonal ones that I've never gotten around to making. 4, 5, 6. 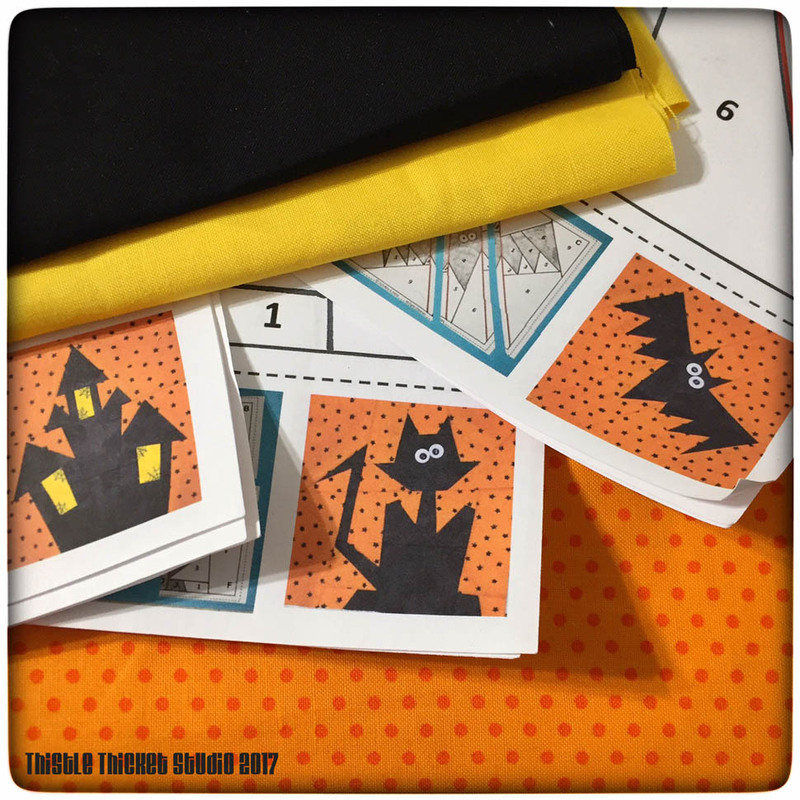 Halloween Mini Quilts. 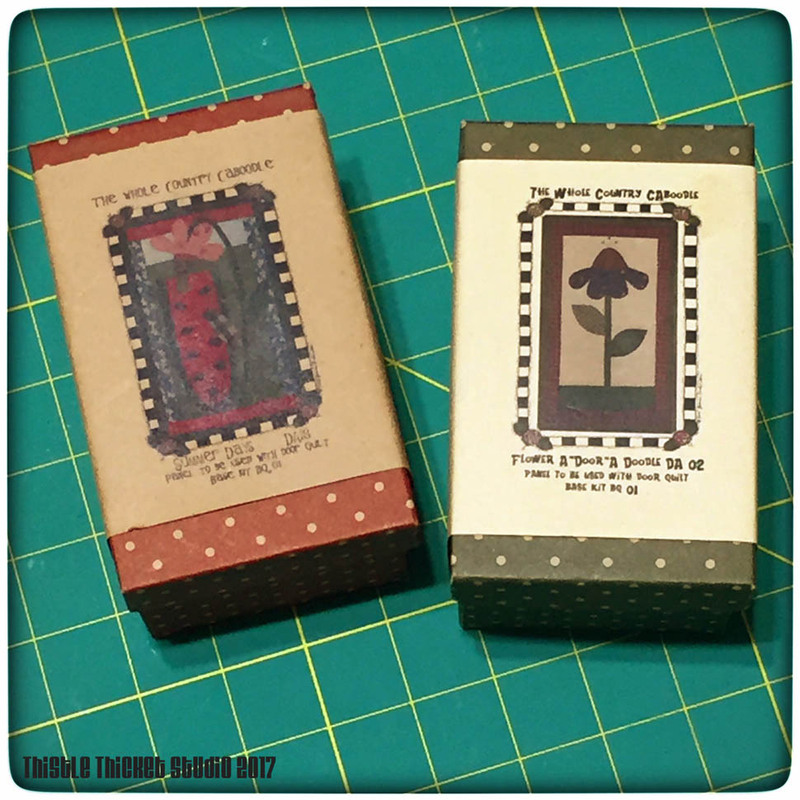 This is another set of little projects that I'm tossing in. 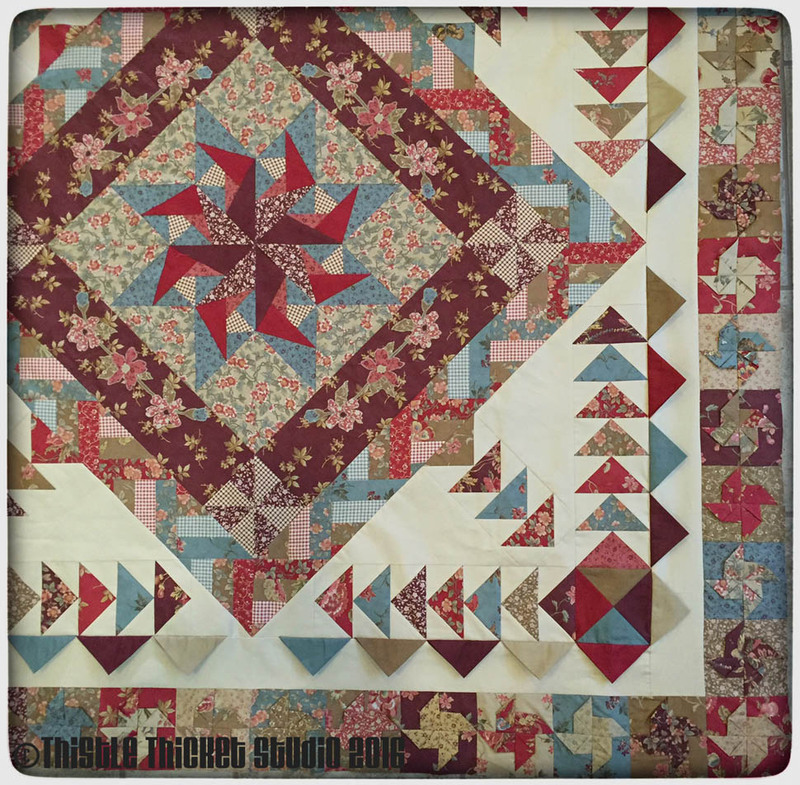 These are free paper piecing patterns by Made By Marney and I think they are so cute. I had planned to work on these at our Quilt Guild Sew Day last quarter, but the sew day was canceled due to weather. I have a couple of sew days planned with different groups this quarter so plan to take these to work on. I haven't decided if I'll make these into three separate little quilts or sew them into one larger quilt yet, so I'm listing them as separate projects for now. 7. Hello Darling Frivols Kit. I started this one while the hubby and I were snowbirding in Texas in January and February, but I didn't have a lot of sewing time while there. I've worked on this some since we're back on the farm and have half of the blocks complete. Hoping to finish this one up in the next couple of weeks. I'll be linking this post up to the 2017 Finish-A-Long 2nd Quarter Goals. 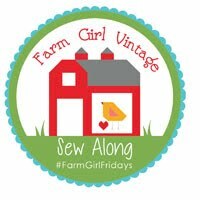 It's not to late to join in the fun - although today is the last day to link up for this quarter so hurry! Check out the details on the Finish-A-Long here.